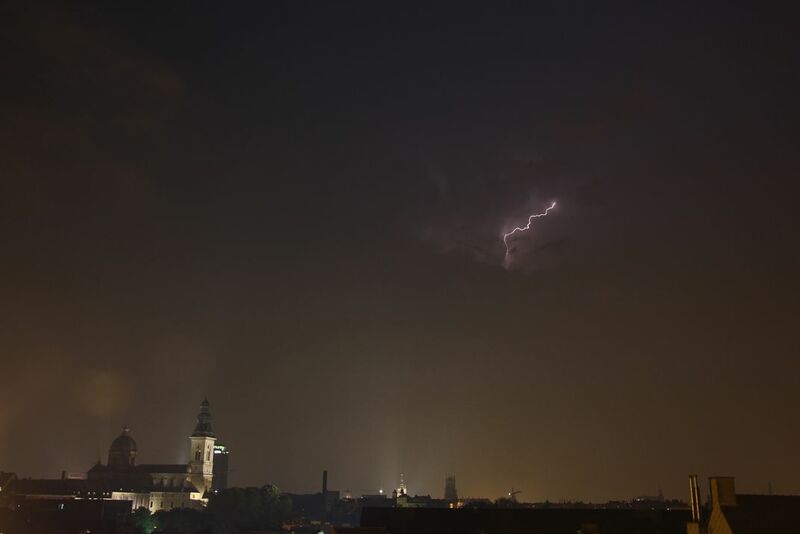 This is a photo of a thunderstorm in Ghent, Belgium and with the help of the city lights, makes the scene look more magical. In the background, the Belfry of Ghent is lit up and near it is also the St Bavo's Cathedral. Date Uploaded: Nov. 6, 2015, 10:10 a.m.